Today’s Flash Back Friday comes from Episode 203, originally published in February 2014. 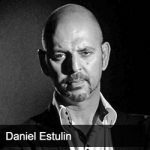 Daniel Estulin is an award winning investigative journalist and best selling author of THE TRUE STORY OF THE BILDERBERG GROUP published in 64 countries and translated into 41 languages. He has given two speeches at the European Parliament on the Bilderberg Group and the international monetary crisis. understands the current crisis.” In August 2010, he was invited by Fidel Castro for a personal meeting in Habana after Castro had read Bilderberg. Venezuelan armed forces on global financial structures and the Bilderberg group. He is the author of 12 books, five of them international best sellers. He has sold over 6 million copies worldwide. His latest book, TransEvolution: The Age of Human Deconstruction, describes the change of paradigm for humanity that shall define its future and threaten its very existence.